Last spring, when for-profit Corinthian Colleges abruptly shut down under the weight of allegations of deceptive acts, Corinthian students had a choice under U.S. Department of Education rules: transfer to another school, or receive a “closed school discharge,” which would free them from the obligation of repaying the student loans they had incurred at the school. The Department seemed to be steering Corinthian’s students toward the transfer option. That may have been because forgiving the loans of all those Corinthian students would have created an enormous expense for taxpayers — perhaps hundreds of millions of dollars. But because many state and non-profit colleges did not accept Corinthian credits, the Department was advising students that they could transfer to a number of for-profit colleges. Unfortunately, many of those colleges were owned by companies that were, like Corinthian, under investigation by law enforcement for fraud and deception. Those companies and schools included Bridgepoint’s Ashford University, Graham Holdings’ Kaplan University, Apollo’s University of Phoenix, DeVry, Career Education Corp’s American InterContinental University, Education Management Corp.’s The Art Institutes, and Alta Colleges’ Westwood College. In addition, the Department of Education should provide clear and immediate guidance to Corinthian students that, if they transfer their Corinthian credits to another school, they will not be eligible for the option of a closed school discharge (forgiveness) of their student loans… [T]he Department of Education should immediately mail discharge applications to all Corinthian students eligible for the discharge of their student loans. These warnings proved prescient. Many of the schools on the Department’s “viable transfer” list are now in precarious financial shape, in addition to facing increased legal scrutiny. And two weeks ago, one of those schools, Westwood College, announced that it would shut down all campuses at the end of March. The sudden closing of Westwood and another chain of colleges, Marinello Schools of Beauty, which shut down late last week, highlights the critical need for the Education Department to ensure that students of shuttered schools get accurate information about their future options. Because now there is a growing danger that the schools themselves will start steering students away from their right to a closed school refund. But actually, of course, not so heartwarming. 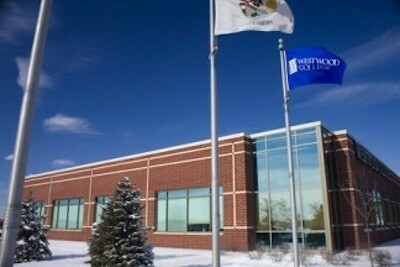 Because Westwood, which has campuses in California, Colorado, Georgia, Illinois, and Virginia, as well as programs online, seems to want students to choose the option of transferring to another school, which, again, would likely be another for-profit college. Only after Pagano’s signature on the letter to Westwood students, in a P.S. that perhaps Alta Colleges hopes that students won’t get to, is there any mention that students “may” be eligible for a closed school discharge, and even then it incorrectly states, “If you apply for and receive a Federal discharge, you will forfeit any Westwood credits earned and these credits will not be transferable to a partner school.” In fact, as the Department of Education explains on its website, if students get a closed school discharge, they can still transfer credits to a new school, provided they pursue a different program. And the likely reason that Alta Colleges wants Westwood students not to elect a closed school discharge is because the Department of Education might be motivated, given a large enough volume of student debt forgiveness claims, to come after Alta for fines to compensate for some of the lost loan money, which otherwise the Department, and taxpayers, will have to eat. This is an approach that the Department has not exercised much, if at all, in the past, but with the growing crisis in the for-profit sector, the volume of students loans piling up, and the Department’s increasing determination to hold bad actors accountable, this could be changing. Transfer, depending on the quality of the new school and other factors, may in fact be the best option for some students, but Westwood appears to be steering every student in that direction, for its own benefit. Sources with knowledge of Department procedures say that generally no one in the Department reviews letters that closing schools send to their students, leaving unscrupulous operators to make stuff up. Alta Colleges has been receiving as much as $338 million a year — more than a third of a billion dollars — from U.S. taxpayers. The Department still has no webpage posted to advise Westwood students, but it does have one for former students of the for-profit chain Marinello Schools of Beauty, which last Friday suddenly shut down its 56 campuses across the country, after the Department informed Marinello that it was terminating access to federal student aid at 23 of the company’s 56 campuses. A Department probe found that Marinello was creating fake high school diplomas for students to make them eligible for federal aid, and forcing students to pay some of their tuition out of pocket while banking their federal loans, among other abuses. Marinello received more than $87 million in federal Pell Grants and student loans in the 2014-15 award year. (“We want you to know that we did everything in our power to avoid this unfortunate conclusion and keep your school open,” Marinello said on Thursday in a letter to students. “Unfortunately, the Department of Education’s unprecedented and unfounded actions left us with no other option except to close our schools.”) At the same time that the Department acted against Marinello, it also suspended aid to for-profit Computer Systems Institute (CSI), which pumped up its placement rates by inventing phony jobs for students. CSI got $20 million from taxpayers last year. To the Department’s credit, it has crafted, and updated, its webpage for Marinello students to accurately inform them that they do have a closed school option, in addition to being able to transfer, and it is sending Department personnel into the field to help Marinello students. But it needs to provide comprehensive outreach to these students, reaching them over multiple platforms, including their cell phones. It needs to ensure that the schools themselves are not providing self-interested deceptive information. And the Department needs to stop referring students to other predatory schools. Community colleges and other institutions would make a valuable contribution to addressing this situation if they developed and enhanced efforts to absorb and train some of this student population. The Department has now recognized that many students have been deceived and abused by for-profit colleges, and are entitled to debt relief. It has appointed a special master to sort through the claims, and it is in the midst of public rulemaking sessions to develop better rules for the process. But the Department must also stay on top of school meltdowns to ensure that students know what their real options are. Callous, greedy, irresponsible for-profit college owners are likely to continue to shut down schools without warning, without regard to students’ interests, and without regard to the law. No doubt the cost to taxpayers from all this debt forgiveness will increase, but that should send the Department itself a clear message as to what it needs to do, at long last. The for-profit college student population — low-income single parents, returning veterans, and others struggling to build better lives — deserve better than to be treated like refugees, moving from failed state to failed state, descending deeper into poverty, confusion, and hopelessness. The Department needs to stop treating as too big to fail the predatory companies that are hanging on in Corinthian’s wake, causing greater and great damage to students, and wasting billions and billions more in taxpayer dollars. If their abuses and deceptions warrant a cutoff of federal aid — as the Department just imposed on the smaller Marinello and CSI chains — then the Department should take decisive action. Meanwhile, both the Department and the failing schools have an obligation to inform students that they can exit this storm and find other means to find a future.